Japan is the second biggest music market in the world where going big can be incredibly rewarding. The Japanese market is also infamous for being incredibly hard for foreign artists to penetrate and for throwing the norms and ways of the western music industry up-side-down as soon as you cross the border. 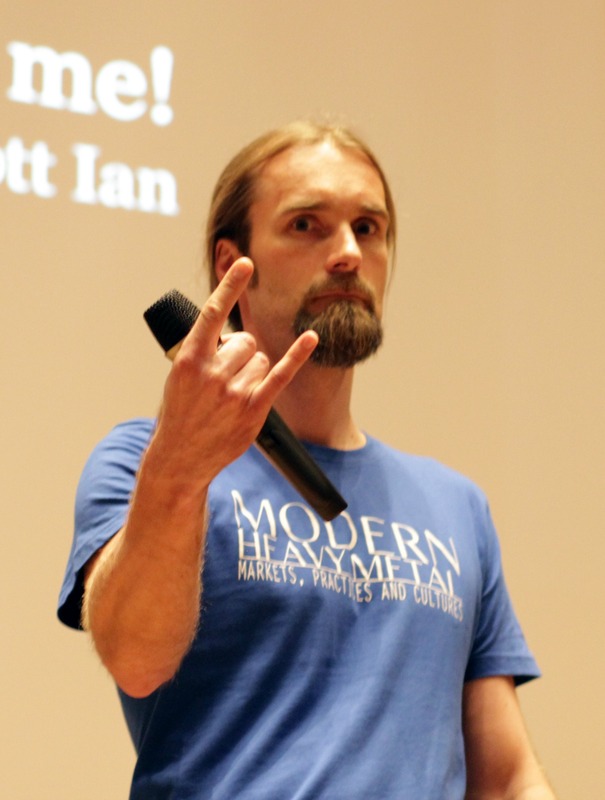 Toni-Matti Karjalainen, Academy Research Fellow at the Aalto University School of Business in Helsinki, is researching metal music and the symbolic and cultural effects it has on society. Below we would like to shed some ”Danish light” on the study through focusing on a few excerpts from the article! WHAT WE CAN LEARN FROM OTHERS? Since 2005, Music Finland has been responsible for arranging Finland Fest, a showcase event for Finnish music in Tokyo. Part of this event is the metal showcase Loud & Metal Attack. Onta Shiroh Kawaguchi from Creativeman (the Japanese festival promoter), has visited Finland several times and become very well acquainted with Finnish music. The main goal for many bands playing the showcase is to play a great gig in front of a dedicated audience, get local promotion, find business partners and – above all – get a reason to come back. All of this involves encounters with Japanese business culture. Japanese business culture is famous for being very polite, official and, at least in the eyes of someone used to the Nordic way of doing things, hard to de-code. Understanding it is essential for establishment in the market, and trust and patience is key. ”… Regardless of the genre, it is very difficult to build any business in Japan without close cooperation with the local professionals. Language barriers, cultural barriers, and many practical challenges are too high to cross. Generally speaking, in Japan it is of paramount importance to find the right people to advance the local presence. … . And it is necessary to reserve time towards building confidence. Numerous business card exchanging rituals and cups of tea are often required before effective co-operation is built. Only when confidence between the partners is at a good level, the cooperation starts to solidify. When trust is created, personal opinions and tips are valued. Furthermore, encounters are characterized by typical Japanese politeness. The Finns and the Japanese have traditionally got along very well. … These good relationships are built by the actions of certain individuals, and the various visits by delegates in both directions. However, based on the opinions of people in the music field, the systematic and coherent promotional activities of Music Finland (and its predecessor Musex) have been central to the building of trust and good working relationships. … It has contributed to the creation of a wide network of co-operation within the Japanese music field as well as to the emergence of trust. It has lead to good working practices of networking and practical activities that new visitors can also benefit from. Due to this basis, the Japanese do not only value individual Finnish bands, but the entire Finnish music scene and its creators. You don’t necessarily need a strong national brand that appeals to the Japanese in order to effectively build up trust – the same image can be built up through coherent communication from a relatively small group of people. Karjalainen doesn’t deny the role the ”rest” of the Finnish culture plays in the mix when promoting Finnish music abroad. The fascination for the Moomins and Finnish design does provide the Japanese with more context and even such trivial things as conversational subjects when meeting delegates and band members. This combination of separate interests does provide us with other useful hints about the Japanese perception of foreign music and culture. The music doesn’t have to be strictly connected to other cultural features usually associated with that musical genre. What might not immediately strike you as the most obvious combination of cultural attributes, may well work together in Japan. ”The Japanese are not shy of metal sung in Finnish, as we have seen. … In Finland, many have thought a band that aims at success overseas should sing in English. … But perhaps it is exactly the Finnish language that distinguishes their music in countries like Japan: it brings exoticism to the band’s profile. Music made in a local language is often seen as a problem by potential music exporters. But the success of several non-English language bands proves that language doesn’t have to be an issue. On the contrary, through embracing it, it might become the very thing that distinguishes one artist from all the rest. Japan is well-known for having very passionate music fans. As an international artist, once you’ve made some kind of name for yourself, the means for appealing to your Japanese fans are relatively straight-forward, although they require investments in time and engagement. It is important to understand the relation between a Japanese music fan and the artist. Being able to behave as expected makes the communication smoother. According to Karjalainen, visuality plays a significant role in Japanese culture, even so in music. As stated earlier artists with that ”little extra” enjoy a greater chance of getting noticed in Japan and if that feature can be translated into a good story and a visual concept, it fits perfectly into the Japanese fan culture. ”The Japanese fans come forward bravely to get photographs and chat with their idols. Such meetings are an effective way for artists to deepen their relationship with fans, to create a more personal experience for them; and to build trust among the fan base. Japanese fan culture is characterized by a certain distance and high respect for the artists. Although the fan meetings are often quite populous, the integrity of the artists as well as general law and order are maintained in a different way than, say, in the Latin American countries. In Japan there seems to be less full-time metalheads than, for instance, in Finland. … Fans of metal are passionate about the music, but it rarely comprehensively determines their overall lifestyles or attitudes. Stories of ‘salary men’, who, after their workday, make their way to the concert venue, change their work dress to a band shirt on the way, and start audacious moshing are true. Metal—and music in general— is a refreshing and permitted moment of exit from everyday life for many Japanese. A notable feature of the Japanese music culture is the ”yogaku” and ”hogaku” division between western and domestic music. If something is seen as ”yogaku”, i.e. western music, it might not have to compete so fiercely with the local talent. Metal music is an example of this, where the local metal bands are generally less popular. ”In Japan, a clear division has traditionally been made between domestic and foreign music, as Junko Kitagawa writes in his carticle in the Modern Japanese Culture book, published by Cambridge University Press. The Japanese language contains the two phrases, ‘hogaku’ and ‘yogaku’. ‘Ho’ refers to Japan, ‘yo to west and ‘gaku’ refers to music. Hogaku therefore refers to Japanese music and yokagu to western music in a broad sense. The division criteria vary between different music styles. In popular music, the language of the lyrics and the home country of the artists defune the category. The mainstream Japanese music market is dominated by Japanese and Korean pop groups. Some foreign superstars have also been successful in the country. The Japanese music world is characterized by a fast-cyclicality; the mainstream artists change with fast pace. But the country has lots of music consumers with many tastes, therefore unknown artists and genres can also find a proper audience. Playing on the yogaku side of the musical field in the Japanese music market is an advantage for foreign bands. Compared to competing with Korean and Japanese superstars, being seen as a yogaku artist seems much more attractive. Due to a relatively conservative domestic media field, social media is the key for fan communication for foreign artists and it also serves as personal touch point when people can’t be physically present. ”Many interviewees stated that the traditional media in Japan is fairly conservative and consensus-oriented. … Fortunately, these are not necessarily the most essential channels for fans that are hungry for stories and background information on their idols. Such content is actively sought within the social media arenas. … When CDs are not released often, and gigs are played infrequently, it is important to keep the fans awareness alive in between these events. Technology-enhanced communication has long been very popular in Japan. … Social media allows more active and personalized communication among the fan communities, as well as between the fans and artists … According to the interviewees, the smart phone is by far the most popular social media services platform. In particular, young people communicate primarily by smart phones, computers are merely seen as tools for middle-aged businessmen. Twitter and Facebook are the main channels for artist information and communication in Japan. Twitter is slightly more popular, according to the interviewed experts, because it is perceived as a more transparent, anonymous and accessible application than Facebook. In general, Twitter and Facebook are perceived to fill slightly different needs. The fans I interviewed use Twitter for more anonymous reading and information search, as well as for occasional commentary. Facebook is used when a more personal communication is sought, or when fans want to find more detailed information on the bands. … Information is especially sought after when the band is coming to perform in the city. According to users, Twitter and Facebook often need some kind of striking features in order to be interesting. Standard updates are easily overlooked. Information about the band and gigs, new songs and albums, photos, and lyrics are the most desired content. But fans also desire personal information about the artists. Having a robust and thought-through social media strategy for the Japanese market is essential for communicating effectively with the Japanese fans. The first thing to do should be to make sure that you use the right channels, the next should be to secure you’re being understood – i.e. the translation is in place. Even though the most critical time for an engaging social media presence is during and around a potential visit to Japan, it is important to remember that the social channels might be the only way of staying in touch with your Japanese fans when you can’t be there yourself, due to the conservative traditional media.